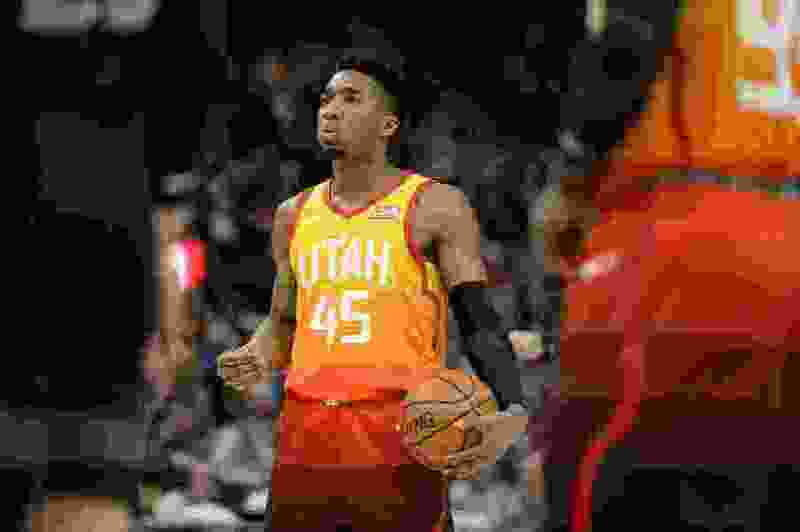 (Francisco Kjolseth | The Salt Lake Tribune) Utah Jazz guard Donovan Mitchell (45) imagines his free throw against the Pistons in the first half of their NBA game at Vivint Smart Home Arena Monday, Jan. 14, 2019, in Salt Lake City. Utah is 5-0 in the month of January in games it has trailed at halftime. After rallying to beat the Pistons, Donovan Mitchell echoed his coach’s sentiments. “Dig deep. Obviously, it’s tough when they got out to a lead, but we never stopped fighting and competing, and we finally came out in the second half and started to defend,” he said. • Rudy Gobert appeared on Yahoo Sports' “Posted Up” podcast with Chris Haynes. In the Twitter post below are links to the podcast for both iTunes and YouTube. 🚨: Utah Jazz center @RudyGobert27 is this week’s guest on “Posted Up” podcast. He displays personality, humor, size 19 shoes & competitive fire to win in at all costs. Coming Wednesday on The Woj Pod: The people’s trash talking champ — @joeingles7 of the @utahjazz. Having just completed a four-game homestand, the Jazz have a road one-off tonight in Los Angeles against the Clippers. Then they’re back at Vivint Smart Home Arena for four more in a row: the Cavaliers visit Friday, the Blazers next Monday, the Nuggets a week from today, and the Timberwolves on Friday, Jan. 25.